It’s that magical time of year again! We love Christmas, and I’m sure most of you do too. Luckily for us, Bournemouth offers many great events in the run up to Christmas. Family days or nights are what Christmas is all about. Reconnecting with loved ones, making your children happy, eating (lots of) great food, and drinking way too much mulled cider. These are all essential elements to a fantastic Christmas. Though, you can only do this if there are great local events for you to attend. 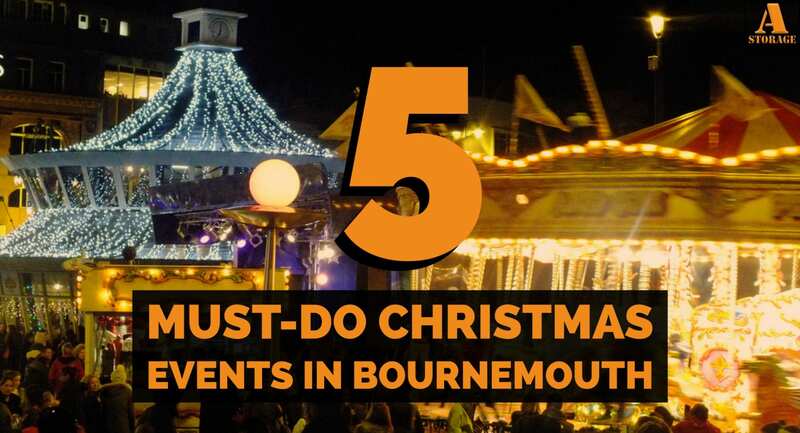 We have put together a list of 5 must-do Christmas events in Bournemouth this year. A truly unique festive trail, stretching across Bournemouth’s beautiful beaches, sea front and gardens. There will be over 100 Christmas trees and illuminations throughout Bournemouth, adding that magical glow to the holidays. As well as breath-taking displays, there will be various events happening at the Bournemouth Christmas event. You can be there for the grand opening and lights switch-on, on November 16th. Witness the light and audio shows happening every weekend and visit Santa’s Grotto from November 23rd – December 24th (separate charge). If that’s not good enough for you…The Christmas Tree Wonderland is free to attend and explore. You will find many surprises along the way, including giant teddy bears and gingerbread men! The ever-present SKATE has returned for another Christmas in Bournemouth. We’re sure by now, most of you reading this will have at least heard of this annual ice rink. If you haven’t, you should really get down there. 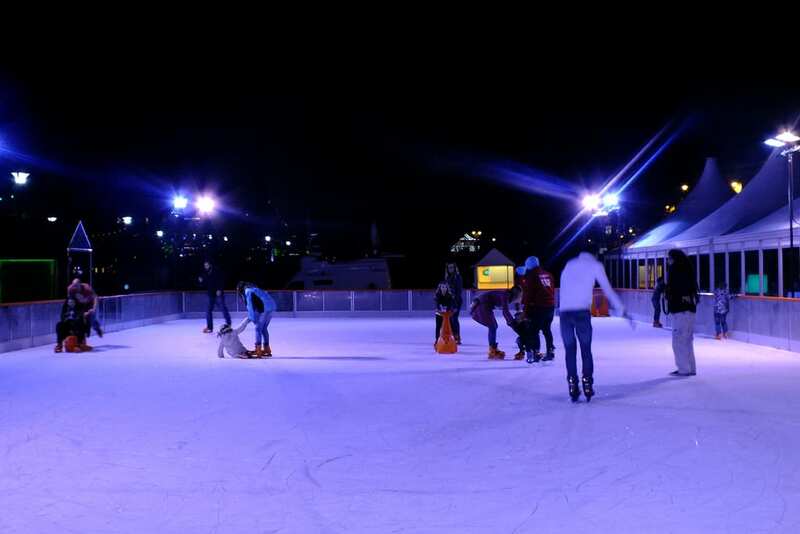 They also have a ‘Gliders’ ice bowling game, where you can challenge your friends and unleash your competitive side. There is a child friendly area, called ‘rinky dinks’, where your young ones can skate on a separate area from adults. You can find the ice rink in the lower gardens, in the heart of this year’s Christmas Tree Wonderland. Once you’re done with your skating, or if you would rather watch, you can find comfort in the Moguls Alpine Bar. Here you can enjoy an aromatic mulled wine, or delicious hot chocolate. Tickets are for one hour’s skating and includes ice skate hire. On December 1st, Boscombe will kick off the countdown to Christmas by holding their annual parade. Starting at Boscombe Pier at 9.45am, the parade will make its way to The Sovereign Centre. Santa himself will arrive on his sleigh to open up his Grotto, ready for all to visit. You can take part in Christmas carols and meet all of the festive characters in the parade! Is it Christmas without a Christmas pantomime? Oh no it isn’t! Sleeping Beauty visits the Pavilion this year, boasting an all-star cast. You can see EastEnders Actress, Rita Simons as the wicked fairy Carabosse, Bournemouth Pavilion favourites Olivia Birchenough (Milkshake!) as Princess Briar Rose and Noel Brodie as Silly Billy. The show will be on from 8th December until 6th January 2019, you can purchase tickets here! There will be a relaxed performance on 19th December, and a Signed Performance on 15th December. Did you know? 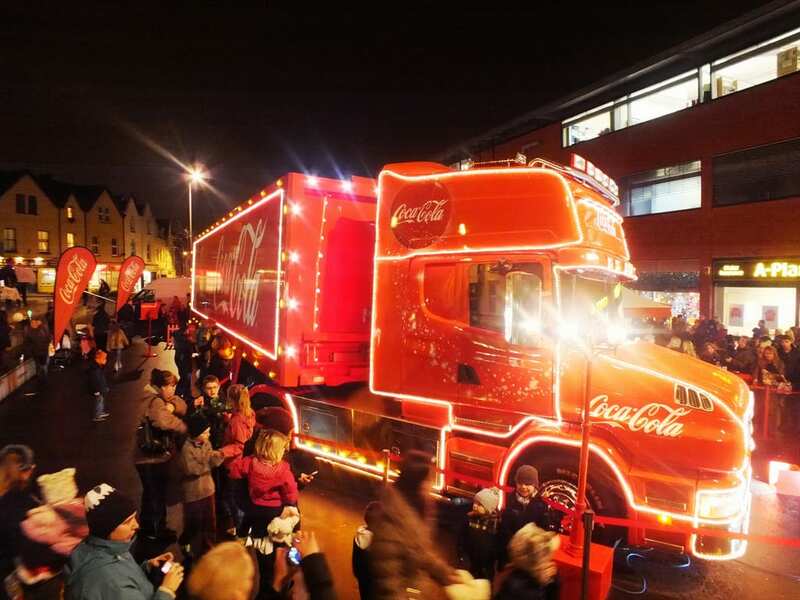 The Coca Cola Christmas Truck is 4.1 metres high, weighs 13 tonnes and has travelled more than 737,000 miles! This year, the Coca Cola truck returns to Bournemouth, but at a different location. The Truck will be stopping at Bournemouth Pier Approach for not one, but two days! You can visit the iconic Christmas vehicle between 11am and 7pm, on Saturday 1st and Sunday 2nd December. As always, they will be offering 1 free can of Diet, Zero or Original Coca Cola, so be sure to grab yours. This is a perfect opportunity to get your photo with the star of the ‘Holidays are Coming’ adverts. Post your photos on social media with the hashtag #holidaysarecoming! Previous Blackmore Vale Business Awards, Small Business of The Year 2018! 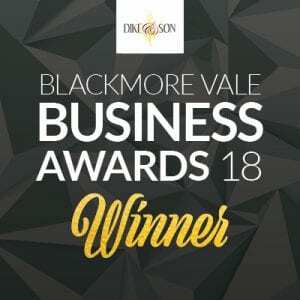 Blackmore Vale Business Awards, Small Business of The Year 2018!